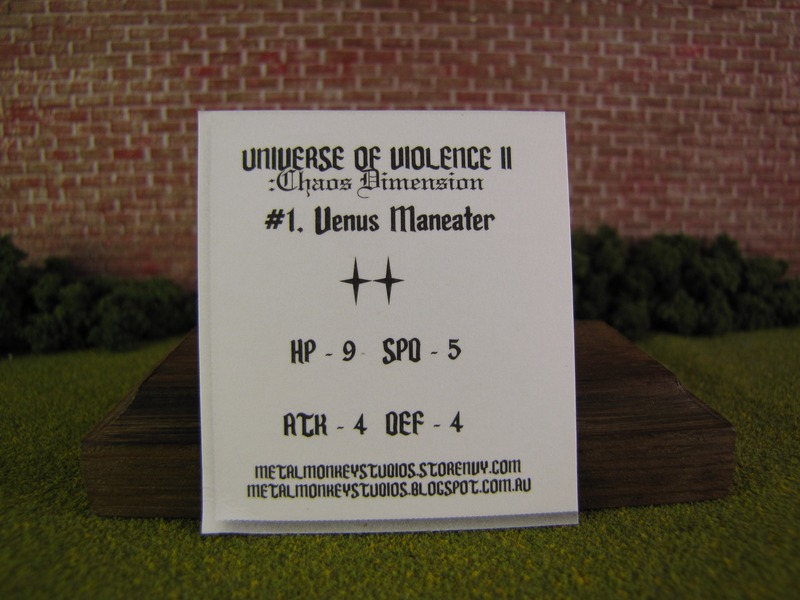 The Venus Maneater figure is part of a two-figure re-launch of Universe of Violence. 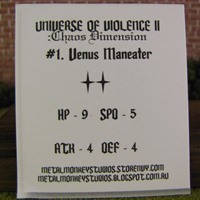 Metal Monkey has created its “sequel” Universe of Violence II: Chaos Dimension. The Venus Maneater was cast in a variety of colors. 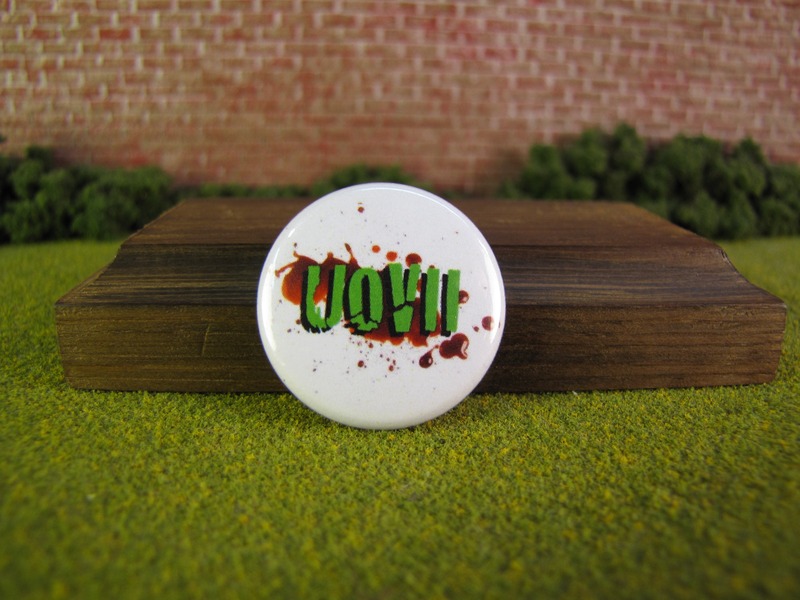 The figure was packaged with a small, square “baseball card,” and a UOVII pin. 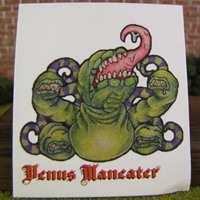 The card features a drawing of Venus Maneater on the front with some Dungeons and Dragons-like statistics on the back. 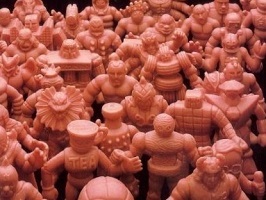 The figure is certainly in a mini-figure scale, but the width of the figure is very unique. The width of the figure gives it a much greater overall bulk or mass, which makes it feel like it’s bigger than a regular mini-figure. Full disclosure, I’m a big fan of Little Shop of Horrors. 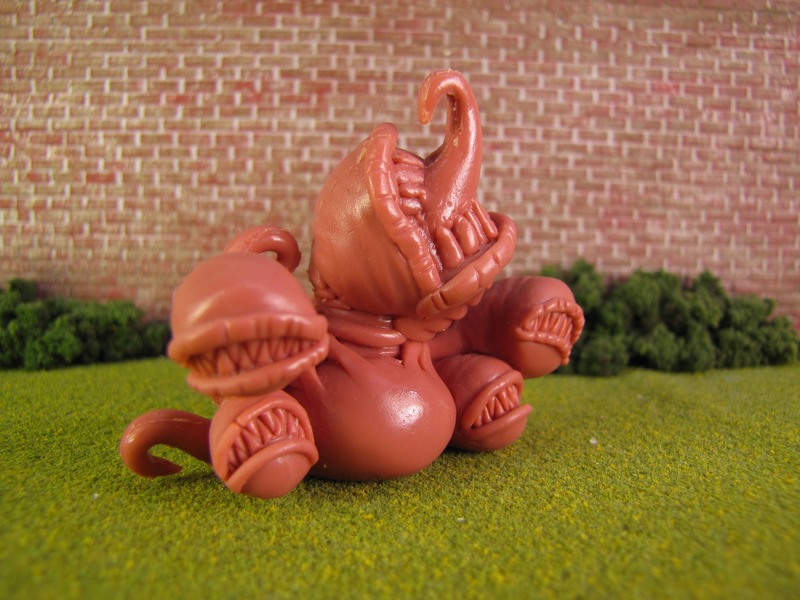 This figure reminds me of Audrey II. For that reason alone I love the figure. However, I can actually image collectors disliking it for the very same reason. I can respect that opinion, but they would be wrong. I had only seen the front of the figure when I purchased it. When it arrived I was blown away from the thoroughness of the sculpt. It really looks good from every angle. And upon really examining it the Audrey II similarities fade away. The figure really feels like its own character. I was slightly concerned when I ordered the figure. Some of the colors, like Cookies & Cream, did not appeal to me. I was pleasantly surprised with the Plum color I received. The Plum color is unique and really highlights the detail. The extras (pin and card) are completely unnecessary. The pin is actually quite nice. 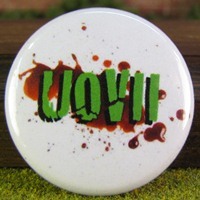 It would look good on any backpack or punk rock jacket. Sadly I think I have reached an age where pins don’t have any purpose. I don’t have anywhere to put it – but I do think it is a wonderfully attractive and distinct design. The card features a beautiful drawing on the front. The back really confused me, but perhaps I overthought it. It seems like the back statistics make it a part of a game, however nothing else related to the packaging suggests UofVII is a game. Then I thought Metal Monkey was a real genius, “Perhaps the card, drives you to his website, where the game is explained.” There wasn’t anything at the website. So again, it’s not bad – just completely unnecessary. I know some collectors baulked at ordering these figures because the original shipping costs, from Australia, were higher – almost as much as the figure. When I received the figure, I assure you the shipping costs were the last thing on my mind. 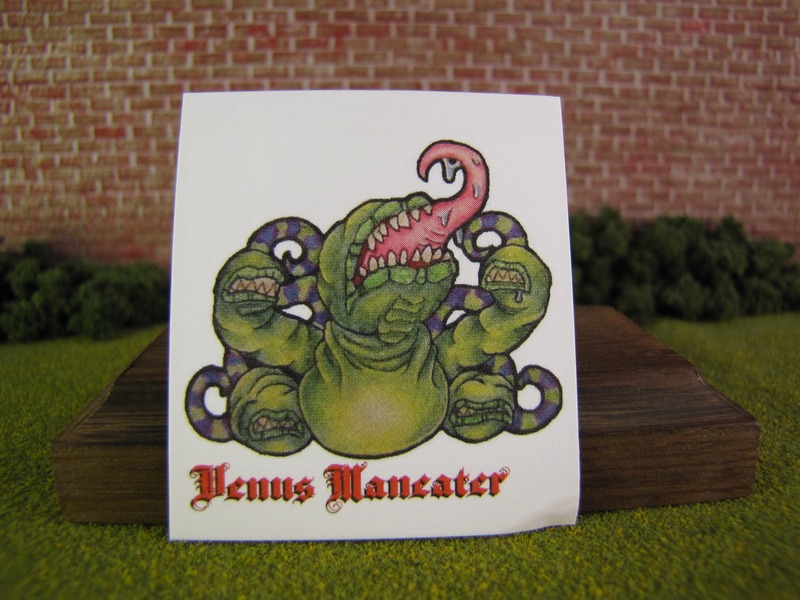 The Venus Maneater was worth every penny. 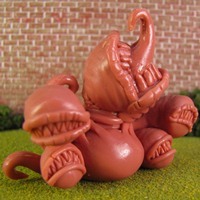 In an effort to reduce those shipping costs Eric Nilla is now selling some of the figures and shipping is from the US. There are literally no excuses left. Mini-figure collectors need to add this figure to their collection. Fair warning to your shelf, he’s a bit of a wide load. Make a little room after you order him. This entry was posted on Tuesday, August 5th, 2014 and is filed under Art, UofM News. You can follow any responses to this entry through RSS 2.0. You can skip to the end and leave a response. Pinging is currently not allowed. Have you checked to see if this figure Glowed in the Dark? Not saying it does, but it “might”. I didn’t check because, according to Justin’s store, this wasn’t a GITD version. But now I have to check!